Sir Frederick Ashton OM, CH, CBE was born in Guayaquil, Ecuador, on 17 September 1904 and died in Eye, Suffolk, UK on 18 August 1988. In 2004, to mark the 100th anniversary of his birth, the Ashton Trust was set up by Tony Dyson. An informal group comprising the copyright holders of Ashton's ballets, its members were: Rosita Arias de Vallarino and Lavinia Exham (holders respectively of Margot Fonteyn's original copyright of Ondine and Daphnis and Chloe), Anthony Dowell (A Month in the Country and The Dream), Tony Dyson (Enigma Variations and Monotones), Wendy Ellis Somes (holder of Michael Somes' original copyright of Cinderella and Symphonic Variations), Alexander Grant (Façade and La Fille mal gardée), Derek Rencher (holder of Brian Shaw's original copyright of Les Patineurs and Les Rendezvous), Peter Schaufuss (Romeo and Juliet) and Anthony Russell-Roberts (residual legatee). Following discussions in 2010-11 between the management of The Royal Ballet, the members of the Ashton Trust and freelance dance executive Christopher Nourse as to how the work of the Trust might be taken forward, a new organisation was established in October 2011: the Frederick Ashton Foundation. The Foundation's founding members were Tony Dyson, chairman of trustees; Jeanetta Laurence (Associate Director of The Royal Ballet), trustee; and Christopher Nourse, executive director and company secretary. 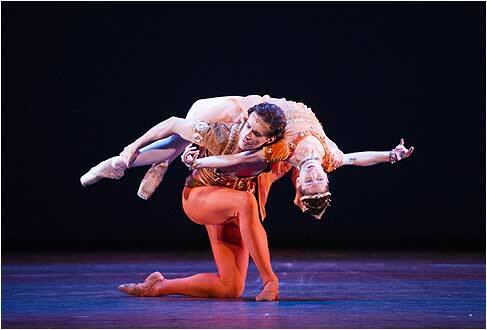 The Foundation's overarching purpose is to enrich the legacy of Frederick Ashton and his ballets. It aims to achieve this principally by developing the skills of those who will be registered to teach, coach and stage Ashton's ballets in the future, thus ensuring the survival of the Ashton Legacy for generations to come; and by promoting Ashton and his work through various initiatives: the creation of a website, presenting Ashton-related events, assisting writers and researchers and providing a central hub of information for interested parties seeking to explore the wealth and diversity of Ashton's contribution to the development of classical ballet in the 20th century. A limited company and registered charity, the Frederick Ashton Foundation is based at London's Royal Opera House, home of The Royal Ballet, of which Frederick Ashton was Founder Choreographer and sometime Director. Independent of, but working in close association with, The Royal Ballet and with the Owners of Frederick Ashton's ballets, the Foundation is managed by a Board of Trustees and an executive director. Copyright owner of Sir Frederick Ashton's ballets Enigma Variations and Monotones, Tony is Chairman of Dancers' Career Development; former Chairman of the Rambert School of Ballet and Contemporary Dance; former Director Ballet Rambert Ltd and Rambert Trust Ltd and a former board member of the Michael Clark Foundation. Interests include music, contemporary and classical choreography and choreographic development, architecture and the visual arts (in particular, sculpture and stained and painted glass), As a consultant architect at Donald Insall Associates, professional responsibilities have included major repair and conservation projects at Trafalgar Square, SW1; Somerset House, WC2; Lincoln's Inn, WC2; Petworth House, West Sussex; Kew Palace, Richmond, Surrey, as well as providing advice and architectural services for eighteen memorial projects in conservation areas in central London, including the Battle of Britain Monument, Victoria Embankment, SW1; The Young Mozart, Orange Square, SW1; Raoul Wallenberg, Great Cumberland Place, W1; Nelson Mandela, Parliament Square, SW1 and The National Memorial to Queen Elizabeth the Queen Mother, the Mall, SW1. Tony is a founding Trustee and the Chairman of the Foundation. David completed his training at the Royal Ballet School before joining Sadler's Wells Royal Ballet. He was an outstanding character dancer, noted for the title role in Petrushka, and Alain and Widow Simone in La Fille mal gardée. Peter Wright encouraged his desire to choreograph and his first professional piece, The Outsider, was created soon after. From 1986 to 1993 David moved from resident choreographer for Sadler's Wells Royal Ballet to the same post at Covent Garden. From 1993 he worked freelance, creating ballets around the world. In 1995 he was appointed Director of Birmingham Royal Ballet and from 2010 took on the additional role of Artistic Director of the National Ballet of Japan. His works range from one-act pieces such as the early gently elegaic Flowers of the Forest, the exquisitely classical Tombeaux, the poignant 'Still Life' at the Penguin Cafe' and his varied jazz-based pieces, including The Shakespeare Suite and The Orpheus Suite, through witty reworkings of Hobson's Choice and Cyrano, to the powerfully dramatic, such as Edward II, and fairytale fantasies such as Beauty and the Beast, Cinderella (2010; BBC Christmas ballet that year) and The Prince of the Pagodas. He was appointed a CBE in 2001. David joined the Foundation's Board of Trustees in 2012. Felicity has extensive professional experience in fundraising having been Director of the Royal Opera House Trust for 6 years, followed by six months temporarily running the Sadler's Wells Theatre Appeal. She has served as a Governor of The Royal Ballet School, a Board Member of Rambert Dance Company, a Trustee of Dancers Career Development, a Trustee of The Mariinsky Theatre Trust, a member of the Advisory Board of The Sixteen, and the Development board of The Royal College of Music. Currently she is Deputy Chairman of The Royal Opera House Benevolent Fund, and serves on the Advisory Council of The Royal Ballet School and their Development and Fundraising Committee. Previously she worked on Vogue Magazine, first in New York as assistant to Diana Vreeland, Editor-in-Chief - American Vogue, then as Beauty Editor - British Vogue for 20 years. As a teenager she was a flautist with the National Youth Orchestra of Great Britain. Her interests include ballet, opera, music, theatre, travel, walking, gardening, cooking and ski-ing. Felicity joined the Board of the Foundation in 2012. Born in Oxford, Jeanetta trained with June Christian and later at The Royal Ballet School. In 1969 she joined The Royal Ballet Touring Company under John Field, and went on to dance in The Royal Ballet's New Group (later Sadler's Wells Royal Ballet), formed under Peter Wright in 1970. She created roles in ballets by, among others, Jack Carter, Ronald Hynd, Joe Layton and Lynn Seymour, and was promoted to soloist with SWRB. She was appointed Assistant Ballet Mistress there in 1978 and left the Company to have a family in 1979. In 1983, with fellow dancer Rashna Homji, she founded Dance Directory, an agency for freelance dancers and choreographers, which ran successfully for eight years. She left the agency to work for director and choreographer Gillian Lynne before joining The Royal Ballet as Artistic Administrator in 1990. She was appointed Assistant Director in 2003 and Associate Director in 2009, retiring in 2015 when she was awarded an OBE for services to dance in the New Year Honours list. Jeanetta is a founding Trustee of the Foundation. Monica was born in Johannesburg, coming to England at age 14. She trained with Nesta Brooking and at the Royal Ballet School before joining The Royal Ballet in 1958. She was promoted to Principal in 1968. She created The Chosen Maiden in Kenneth MacMillan's The Rite of Spring and many other roles, dancing a wide repertory which included the 19th-century classics. She was appointed Principal Repetiteur (1984), Assistant to the Director (1988) and Assistant Director (1991). She became Acting Director of The Royal Ballet in 2002 following the resignation of Ross Stretton, and Director in 1992, retiring from the post in 2012 after 54 years at the Royal Opera House. Monica was awarded an Honorary Doctorate by the University of Surrey in 1996, an OBE in 2002 and the Achievement in Dance Award from the Dance Teachers' Benevolent Fund in 2003. In 2008 she was made a Dame Commander for her services to dance. She received the Queen Elizabeth II Award from the Royal Academy of Dance in 2011 and the Olivier Special Award in 2012. In 2013 she became an Honorary Fellow of St Hilda's College, Oxford and also of King's College, London. Monica became a Foundation Trustee is 2012. Kevin O'Hare is Director of The Royal Ballet. Born in Yorkshire, he trained at The Royal Ballet School and, through an exchange programme, with the Royal Danish Ballet. On graduating, he joined Sadler's Wells Royal Ballet, becoming a Principal during its transformation into Birmingham Royal Ballet (BRB). During this time he performed extensively in the UK and internationally, including as a guest with many leading companies. His repertory included all the leading classical roles, including Prince Siegfried, Prince Florimund, Albrecht and Romeo (in the first BRB performance of Kenneth MacMillan's Romeo and Juliet). O'Hare worked with many leading figures in the ballet world, including Ninette de Valois, Peter Wright, Frederick Ashton, Kenneth MacMillan and David Bintley, and created several roles, including Amynta in Bintley's full-length Sylvia. O'Hare retired from the stage in 2000 and entered into a traineeship in company management with the Royal Shakespeare Company. In 2001, he was appointed BRB Company Manager and joined The Royal Ballet in a similar role in 2004. He was made Administrative Director in 2009 before being appointed Director in July 2012. O'Hare joined the Board of the Foundation in 2012. Kristina Rogge has held a passion for ballet since her early school days, and having studied ballet to a professional level still enjoys lessons today. Before joining the Development Committee of the Royal Opera House, Kristina spent many years fundraising for English National Ballet School, the Dyslexia Teaching Centre, Miracles in Bosnia, the Montenegral Therapeutic Community in Southern Spain and latterly the Cecchetti Legacy Project; she is also a Trustee of New English Ballet Theatre and a member of its Strategic Development Committee. Kristina attended the London College of Fashion, subsequently owning a very successful retail outlet, The Sale Shop. Kristina divides her time between London, Hampshire and Spain with her husband Olaf and has four grown-up children and one grand-daughter. Apart from all aspects of ballet and dance, Kristina has a keen interest in theatre, music, architecture, hiking, riding, including side-saddle and breeding Andalucian horses, and has shown her Highland Ponies at the Royal Windsor Horse Show. Kristina became a Trustee in 2018. Born in England in 1944, Anthony is the nephew of Sir Frederick Ashton. He was educated at Eton College and New College, Oxford. Beginning his career as a management consultant with a brewing conglomerate, he then became a partner in a firm specializing in commercial property development. Anthony changed career in 1976 to work in stage management at Glyndebourne and Kent Opera. In 1977 he joined the Royal Opera House as Assistant to the General Director. Between 1981 - 1983 he was Artistic Administrator of the Theatre National de l'Opera, planning and co-ordinating opera productions and concerts at the Paris Opera and the Opera Comique, as well as special projects in and around Paris. From 1983 to 2009, he was Administrative Director of The Royal Ballet at Covent Garden. In 1988 he inherited Frederick Ashton's Suffolk house and a portfolio of ballets, which are held in a company 'Ashton & Russell-Roberts' and can be viewed on www.ashtonballets.com. He was awarded a CBE in 2004 and, having retired in 2009, now lives in Copenhagen. Anthony was appointed a Trustee of the Foundation in 2012. Lynn Wallis trained at The Royal Ballet Upper School and graduated into the Royal Ballet Touring Company in 1965, returning to the School as Ballet Mistress in 1969, a position she held until 1982 when she became Deputy Principal. In 1984 Erik Bruhn invited her to join the National Ballet of Canada as Artistic Co-ordinator, where subsequently she became Associate Artistic Director and then Co-Artistic Director. In 1990, she was appointed Deputy Artistic Director of English National Ballet and in 1994 Artistic Director of the Royal Academy of Dance, where her responsibilities included setting and maintaining the standards of RAD dance training worldwide, developing the syllabus and planning courses internationally for students. She retired in 2016. Lynn was shortlisted (2001) for the European Women of Achievement Awards; nominated (2004) for an Isadora Duncan Dance Award for her work on staging Ashton's Monotones I and II for San Francisco Ballet; and awarded an OBE in 2015. Lynn is a Fellow of the Royal Academy of Dance and of the Imperial Society of Teachers of Dancing, a Trustee of the Dance Professionals Fund and a Governor of Elmhurst Ballet School. She was appointed a Trustee of the Frederick Ashton Foundation in 2018. Christopher is a specialist in dance management. He acquired a law degree and read for the Bar before entering arts management. Asked by The Royal Ballet in 2010 to establish the Frederick Ashton Foundation, he was subsequently appointed its Executive Director. Prior to this, as a freelance dance manager and consultant, he set up and managed the annual Dance Proms at the Royal Albert Hall (2010-2014) and was the Administrator for the Critics' Circle National Dance Awards (2005-2010). Previously, he held senior positions with Sadler's Wells/Birmingham Royal Ballet (Administrative Director), Rambert Dance Company (Executive Director), English National Ballet (Managing Director) and the Royal Opera House (Assistant to the General Director; Administrative Director of the ROH Trust). Christopher's non-executive appointments currently include: Chairman of the Dame Margot Fonteyn Scholarship Fund, Trustee of the Cecchetti Society and Governor of The Royal Ballet (Royal Ballet/Birmingham Royal Ballet/Royal Ballet School). He is a Fellow of the Royal Society of Arts. "Frederick Ashton used to walk by me in the Upper School and pull the hair on the top of my head saying "grow, Sleep, grow". Clearly I did not match up to the text book requirements needed to be a member of a ballet company. So I was amazed when he chose me to catch him horizontally in my arms as suitor to his Ugly Sister in Cinderella. Later he created many roles for me. Part of Ashton's genius lay in his ability to focus firmly on each individual dancer, which helped produce The Royal Ballet's unique style and a repertoire second to none."